The C.F. Martin & Co. 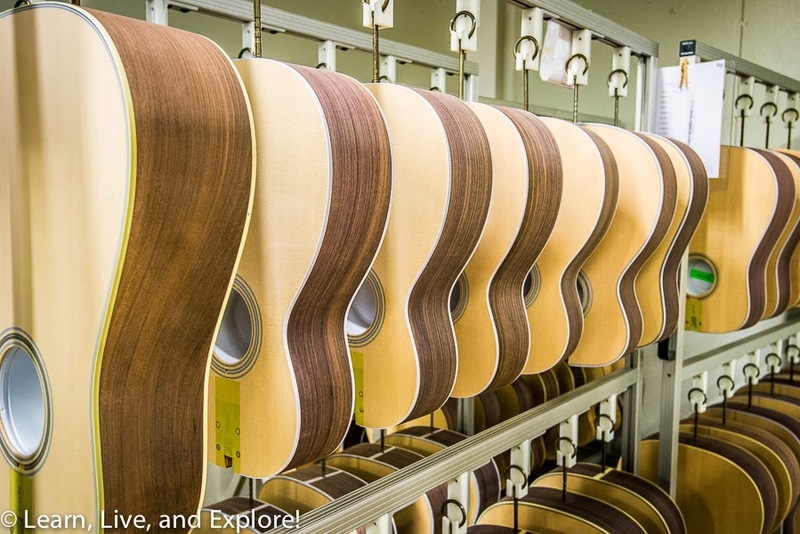 Factory Tour - If you don't own a Martin guitar, you want one! ~ Learn, Live, and Explore! The C.F. Martin & Co. 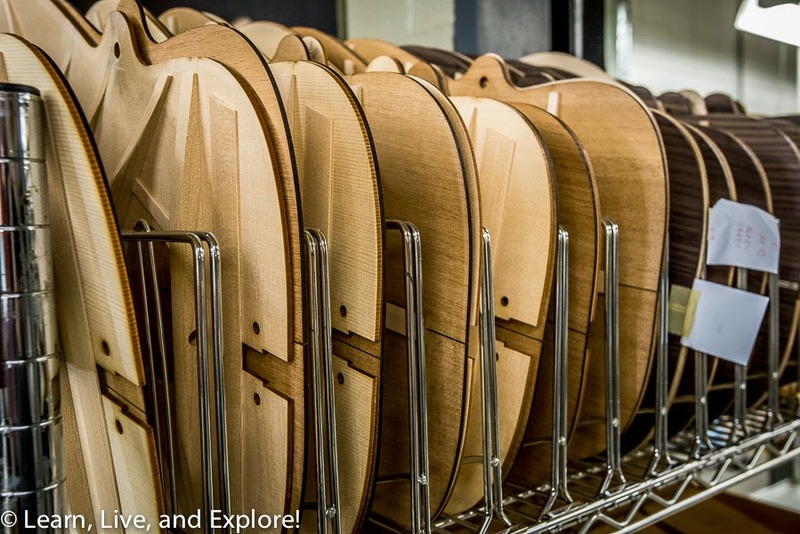 Factory Tour - If you don't own a Martin guitar, you want one! On my way back from a quick trip to New York over the holiday weekend this month, I finally made the detour to Nazareth, Pennsylvania to take a tour of the C.F. Martin & Co. factory. If this name isn't familiar to you, Martin is a producer of, what are considered, some of the finest handcrafted guitars, favorites of many famous musicians including Hank Williams, Johnny Cash, John Lennon, Elvis Presley, Eric Clapton, Jimmy Buffett, and - more recently - John Mayer, Marcus Mumford, Dierks Bentley, Ed Sheeran, and Kenneth Pattingale from The Milk Carton Kids just to name a few. I've read its a well known fact that if you play guitar and don't already own a Martin, you are wanting to own a martin. Fortunately, I fall into the former category, thanks to a conversation with Marcus Mumford (D-28 owner) in summer 2013 that led me to take his suggestion and get one. C.F. 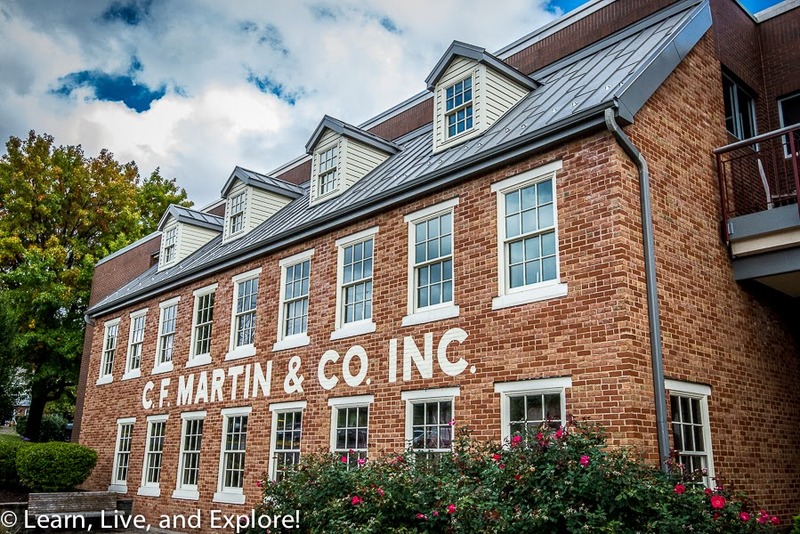 Martin & Co., established in 1833, is family owned and has been managed by six generations of Martins. 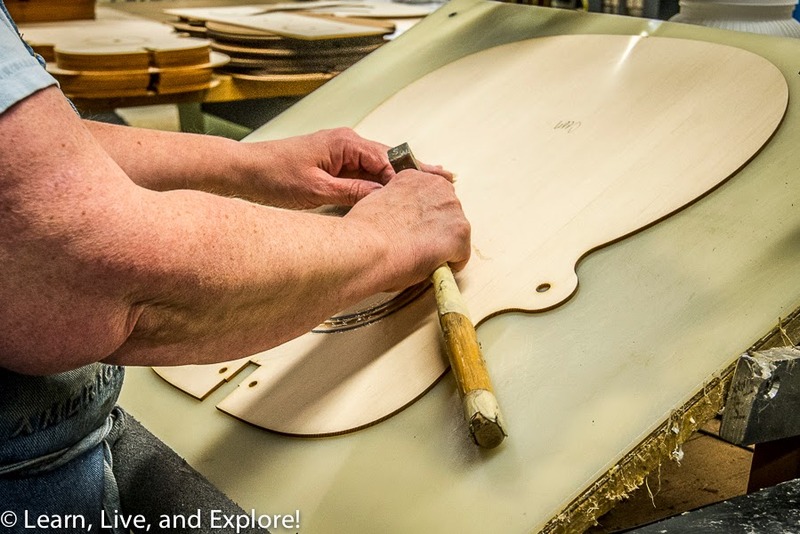 The guitar making trade was first learned by Christian Frederick Martin, Sr. at the age of 15 when he was sent to be an apprentice to Johann Stauffer in Vienna, Austria - a renowned guitar maker at the time. C.F. Martin Sr. moved to New York City in 1833 and set up his shop on the Lower West Side. While he was relatively successful considering the immaturity of the musical instrument industry in the 1830s, he was never comfortable in New York, having been used to living in the countryside his whole life. When his wife visited a fellow instrument maker in Nazareth, Pennsylvania in 1838, Martin was easily convinced to move his operation to the smaller town. While not the original factory on Main and North Streets, the current C.F. 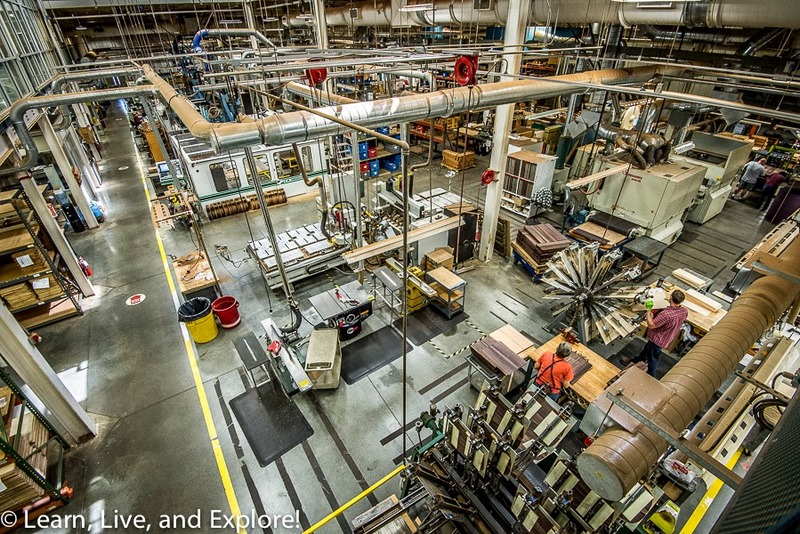 Martin & Co. factory is just outside of the main part of town and offers guided factory tours Monday through Friday from 11:00am to 2:30pm. In the visitors center, you can also take your time exploring the Martin Guitar Museum, buy some souvenirs in the 1833 shop, play some standard Martin guitars, or wait your turn for the private room with the higher end and limited edition guitars. 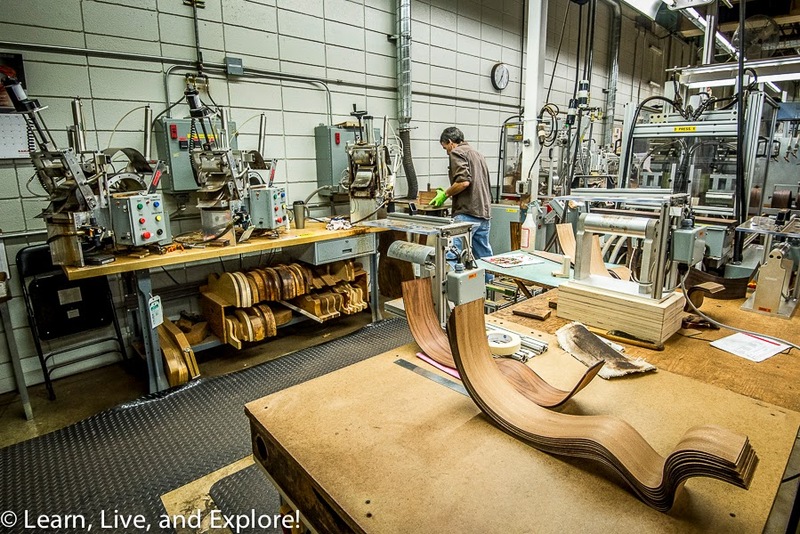 While I still have a lot to learn about guitar construction and a far greater amount to learn about playing my guitar, in general, I still enjoyed the opportunity to witness the production and craftsmanship of Martin guitars on the factory tour. I was amazed at how long each stage of the production process took and how many people were involved in the effort of making a single guitar. 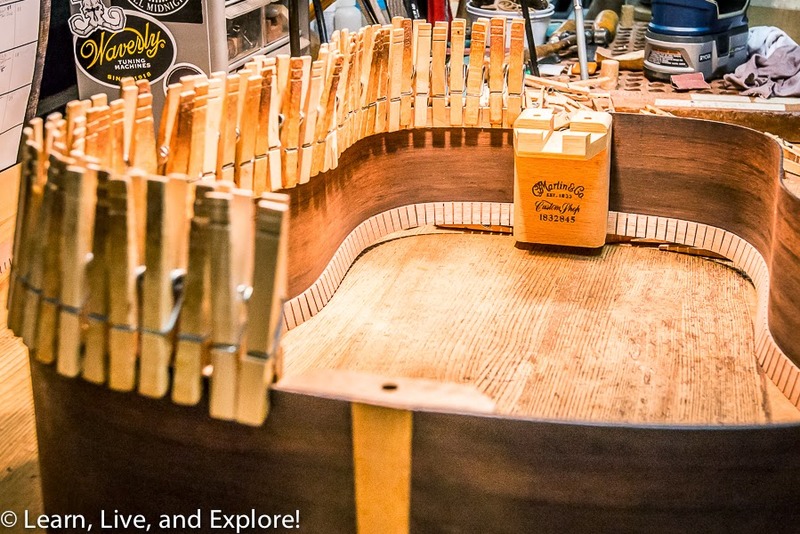 In the wide-angle photo above, you see the wood cutting and planing room where the pieces of the guitar body are produced. That room smelled so good with all the spruce and mahogany that goes into most of the Martin guitar products. 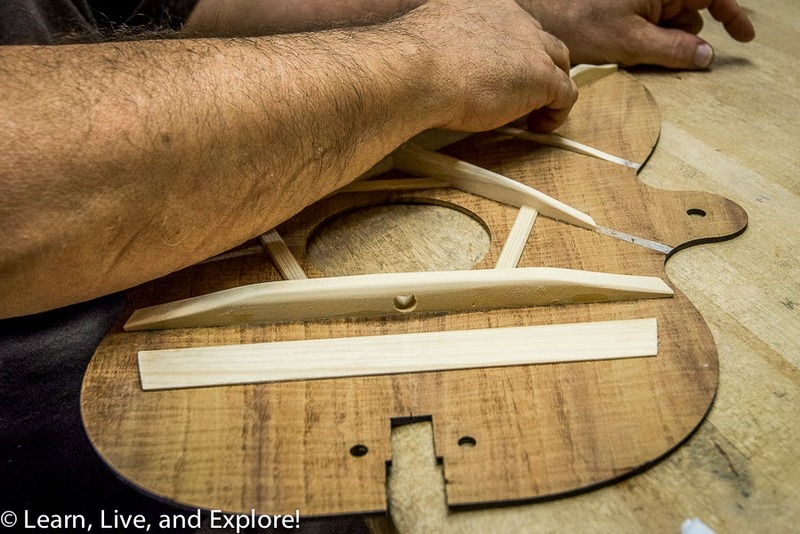 In these next two photos, workers are hand gluing the rosette inlays around the soundhole and hand sanding the bracing on the top panel. 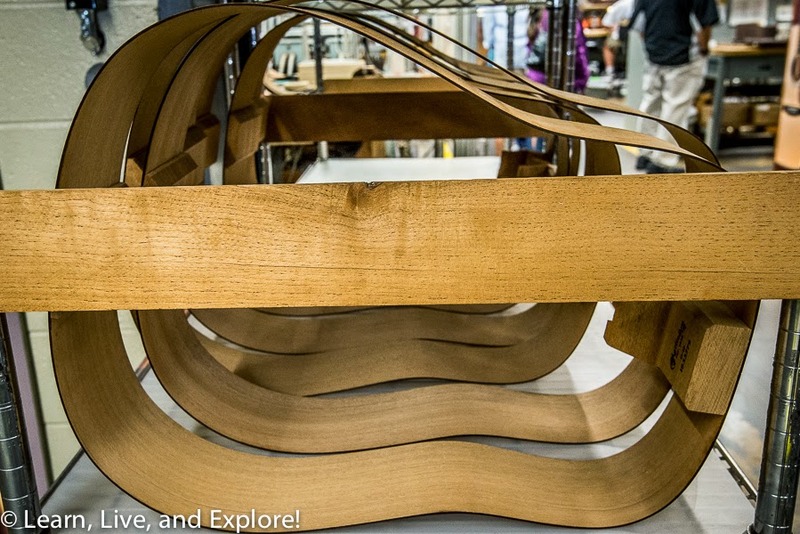 After the wood is bent for the sides, the rim is assembled with the ribbon lining at the bottom. 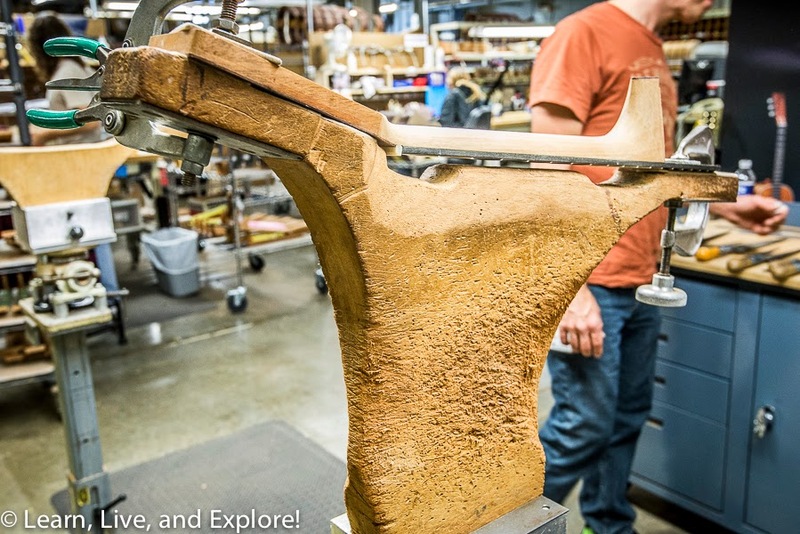 While some of the necks and headstocks are machined, others in the custom shop are sometimes made by hand. 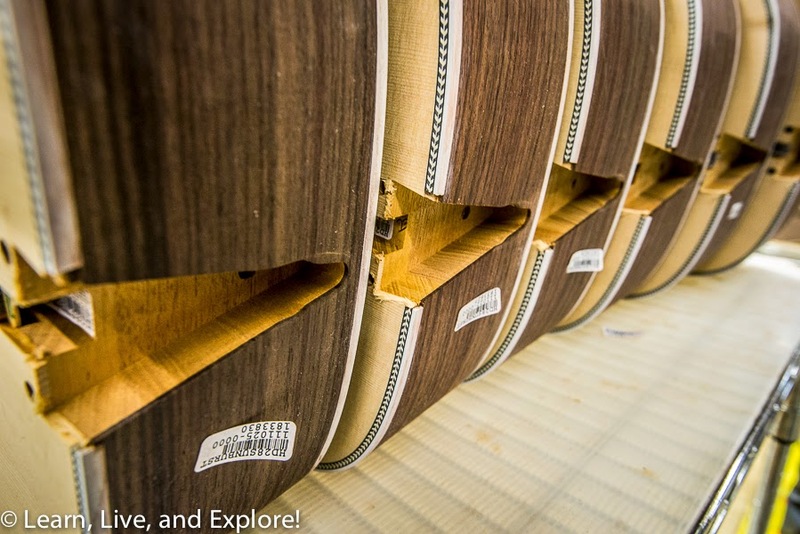 Look at the gorgeous inlay detailing on the edges of the tops. This is right before the bodies and necks are assembled, before heading into the varnish and polish stage. What a fascinating tour! Alas, I realized after I got home that I missed out on two other C.F. Martin & Co. pieces of history while in Nazareth. Housed in the old factory building at 10 W. North Street is the Guitarmaker's Connection, a place to buy guitar making kits and tools. And, next door to the original factory is the C.F. Martin Sr. homestead where he first crafted guitars after moving into town. Oh well, I guess I have a reason to go back, and perhaps you won't make the same mistake I did! This can be right in front of your systems along with necks are generally built, ahead of going in the varnish along with gloss point. Exactly what a exciting trip!